Djokovic leads the H2H 12-2 including winning their most recent meeting at the Madrid Masters last week. These two have played out some really close encounters on clay in the past, and it could once again be a fascinating contest. Kei Nishikori set up a rematch of last week’s first-round match in Madrid by defeating Philipp Kohlschreiber late in the day. 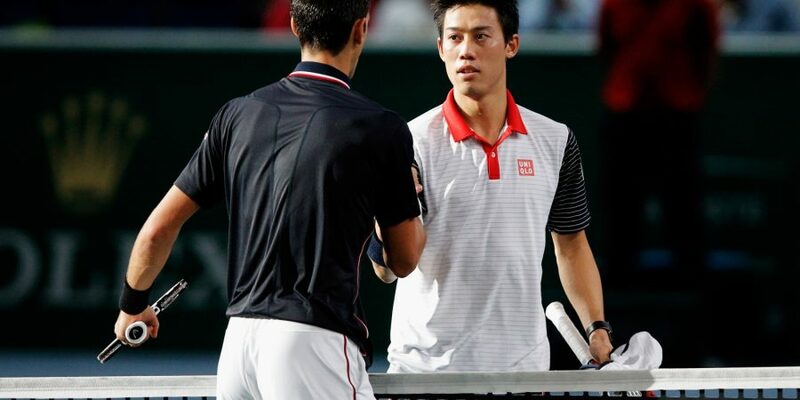 It was an impressive performance from the Japanese #1 considering he is still on the comeback trail while the German has been playing some good tennis in the recent weeks, 6-1 6-2. Nishikori entered Rome on the back of two straight defeats against Guillermo Garcia Lopez in Barcelona (retired) and Novak Djokovic in Madrid but has secured three confidence-boosting wins this week, against Feliciano Lopez, Grigor Dimitrov, and Philipp Kohlschreiber. The former world #4 Kei Nishikori has played three quarterfinals so far in 2018 and won all three, against Dominik Koepfer in Dallas Challenger, Radu Albot in New York and Marin Cilic in Monte Carlo. Before defeating Marin Cilic in Monte Carlo Masters, Kei Nishikori lost his previous three quarterfinals at this level with one of those defeats coming against none other than Novak Djokovic (next opponent) in Madrid 2017. Moreover, two of Nishikori’s last three defeats here at the Rome Masters came against the former world #1 Novak Djokovic, in the semifinal of 2016 and quarterfinal of 2015 edition. Despite so many statistics standing against him, Kei Nishikori will go into this quarterfinal clash with confidence, considering Djokovic is nowhere near his best at the moment and also Nishikori dominated the Serbian in Madrid last week, but it just wasn’t his day, 5-7 4-6. For the first time this season, Novak Djokovic had managed to win three consecutive matches in straight sets when he defeated Alberto Ramos Violas 6-1 7-5 on Thursday. Earlier this week, he registered two dominant wins against Aleksandr Dolgopolov and Nikoloz Basilashvili. The four-time champion of Rome Masters, Novak Djokovic, has faced three quarterfinal exits here in the past, against Tomas Berdych in 2013, Fernando Verdasco in 2010 and Rafael Nadal in 2007. This will be the 12-time Grand Slam champion Novak Djokovic’s first quarterfinal appearance on tour since retiring against Tomas Berdych in Wimbledon 2017, which also happened to be his last match of the 2017 season (right elbow injury). By the time these two step on the court, they will get to know their semifinal opponent, either Rafael Nadal or Fabio Fognini. As much as a fighter he is, Novak Djokovic will not be looking forward to facing Rafael Nadal on clay at this moment, and it will be interesting to see how he approaches this quarterfinal if Rafael Nadal beats Fabio Fognini earlier in the day.